As a winemaker, Josh Bahen learnt the value of respecting origin and simple processes to highlight flavour. 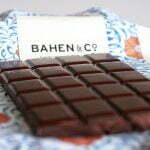 Bahen & Co have a deep curiosity about cacao and love exploring its complex flavours. As part of their commitment to traditional processes, Bahen & Co use a vintage Guitard Melangeur from 1910 and a 1930’s Ball Roaster. 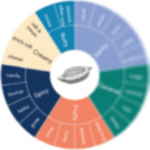 They also have great respect for the relationships they have with cacao farmers around the world. They apply the principles of mutual benefit, transparency and fairness to ensure the farmer’s efforts are appropriately rewarded. The Bahen & Co. factory operates on the family farm in the beautiful Margaret River in Western Australia.